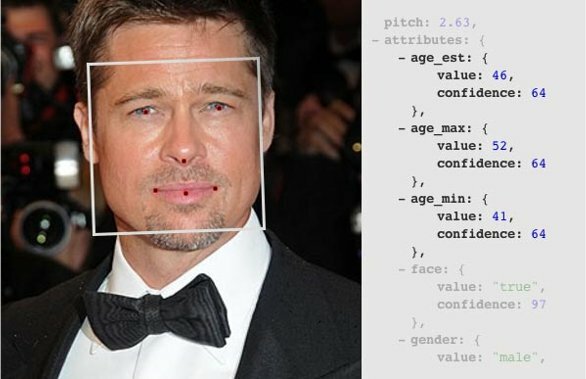 Face.com’s API now returns an age estimation for faces it detects in photos – seen here with some recognizable examples. Looking at someone’s face can tell you a lot about who they are. Running a picture through Face.com‘s systems let’s you turn those instincts into cold hard data. The Israel-based company has made a name for itself over the past few years by providing some of the best facial recognition technology available on the web. To date, developers all over the world have used their API to find nearly 41 billion faces! 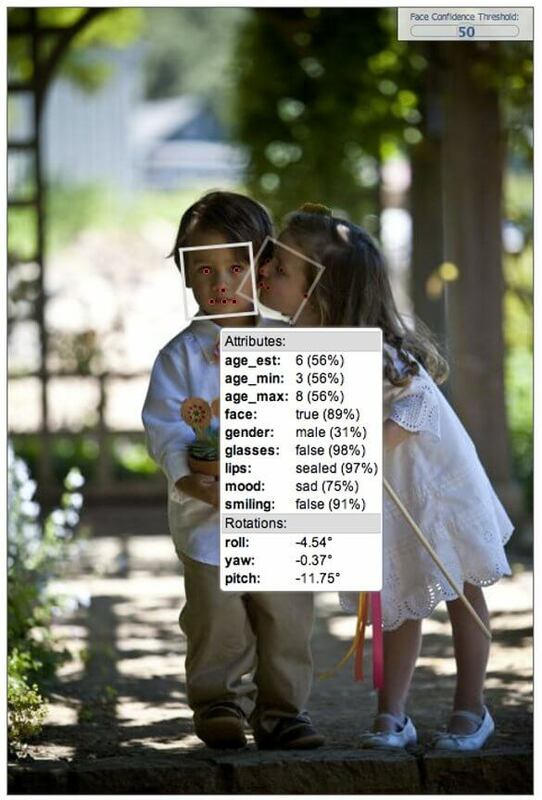 More than just detecting and identifying faces, the Face.com API provides all sorts of great data: gender, presence of a smile, approximate mood, etc. The latest innovation? Face.com can now accurately estimate the age of the faces it sees. Singularity Hub spoke with CEO and Co-Founder Gil Hirsch about the new Age Detection feature, the success the company has enjoyed so far, and the future of facial recognition technology. Face.com does a pretty good estimation for this pic of Brad Pitt. In the end, though, the only really important thing to ask about Face.com’s Age Detection, is “does it work.” Well, you can judge that for yourself with the various example cases shown below. Hirsch, however, is clearly pleased. Humans, it turns out, have a pretty hard time determining the exact ages of faces anyway. So while Face.com’s API isn’t 100% accurate, it does very well against its biological counterparts. When the confidence in each age measurement (seen as a percentage in some of the samples) is high, Hirsch says that it’s a “fairly close call” between whether the API or a human would do a better job. 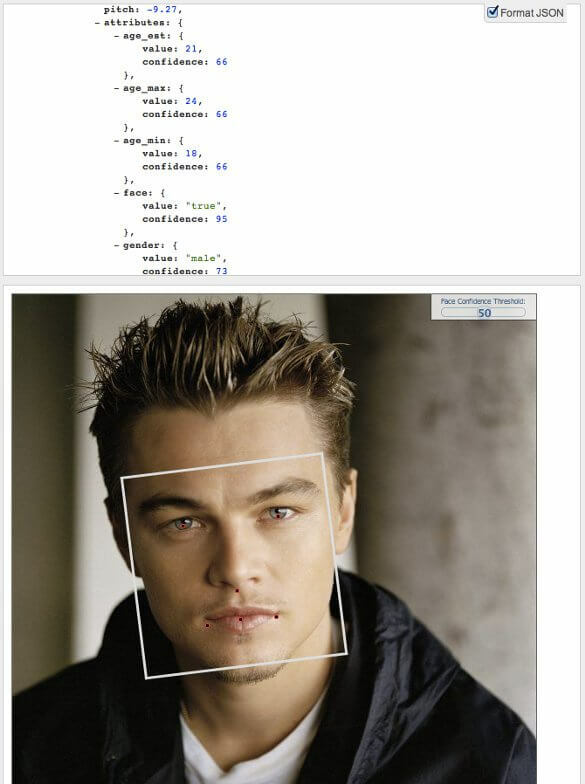 That’s pretty phenomenal considering that humans have a lot more contextual clues to use than the Face.com API. 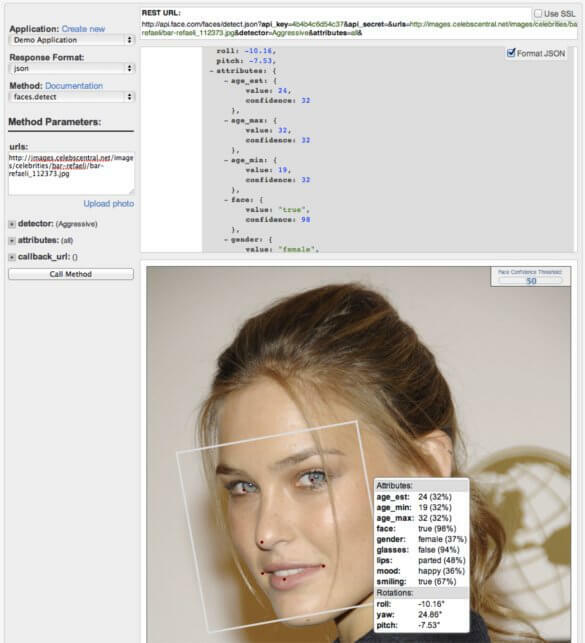 In the end, the Age Detection feature isn’t meant to be perfect (Hirsch says female celebrities are always going to be difficult to handle, for instance), it’s just meant to be a helpful addition to the API. The near term applications for the update show how useful it might be. Hirsch says test cases include ad targeting (got to grab that 18-25 year old male demographic) and video verification services. The latter scenario is perhaps a little more interesting. Using Age Detection in video chat services could keep adult predators from preying on kids. Or it could even help pair up groups of people according to some of their key characteristics (age, gender, mood, etc). Looking further down the line I wouldn’t be surprised to see this as a helpful social media tool (got to put those old photos in the correct place on your timeline), or in CCTV security camera footage analysis, or in interactive video billboards. What seems certain is that we will see much more of Face.com in the future. The accuracy of their core facial recognition feature keeps improving (up 30% with this latest update) and Hirsch says they’ve secured two very big deals in the past few months, both in Russia. Mail.ru (with 100M+ users) and Yandex.Fotki, a photo site with millions of visitors of its own, are each using Face.com’s services now. There are also a few more such collaborations “in the pipe” according to Hirsch. I tried to get the CEO to acknowledge Face.com’s involvement with Facebook, but he wouldn’t comment. Still, I don’t see how anyone else could be behind the social media giant’s recent forays into facial recognition, so speculating technophiles like myself should probably measure Face.com influence as reaching to many hundreds of millions of online users…if not billions. That means to some extent that we already live in the era of ubiquitous facial recognition, and Face.com is one of the companies that brought us there. The future for this global innovator is going to include even more data gleaned from images of our faces. Age, gender, mood, smiling, rotation – those are all old news now. As Face.com moves forward, Hirsch says they’ll keep widening their perspective, hopefully teaching their API to identify “anything we as people can identify.” Get ready, readers, it may be only a few years before a video camera knows more about who and what you are than your own mother.